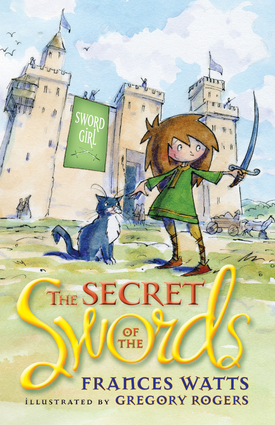 The first adventure in the Sword Girl series featuring the feisty Tommy When Tommy is made Flamant Castle's Keeper of the Blades, it seems her dreams of being a knight might come true. But then a valuable sword is stolen from the sword chamber. Can a surprising secret and an extra-special group of friends help her find it? Or will she be sent back to the kitchen in disgrace? Frances Watts is the author of Kisses for Daddy and The Secret of the Ginger Mice. Gregory Rogers (1957-2013) was the first Australian to be awarded the prestigious Kate Greenaway Medal. His first wordless picture book The Boy, the Bear, the Baron, the Bard was selected as one of the Ten Best Illustrated Picture Books of 2004 by the New York Times and short-listed for several awards.